By Charles Boehm – WASHINGTON, DC (Jan 31, 2019) US Soccer Players - The USMNT scored three quality goals in Sunday’s 3-0 friendly win over Panama. They generally controlled proceedings in new head coach Gregg Berhalter’s debut. In the long run, though, what may turn out to be one of the game’s most revealing episodes had little chance of making it into most highlights reels. In the 17th minute, Michael Bradley took a layoff from Jeremy Ebobisse in midfield and spotted Cristian Roldan drifting into a pocket of space in front of Panama’s backline. Bradley’s pass allowed Roldan to turn towards goal with options. Instead of feeding the onrushing Corey Baird for what looked likely to be a one-on-one with the goalkeeper, the Seattle Sounders man elected to uncork a shot from distance. Roldan slipped on the turf as he shot, leading to an easy save for goalkeeper Eddie Roberts. TV cameras revealed that the play sparked some animated conversations among coaches and players on the USMNT bench. Berhalter explained it in his postgame press conference. “There was a moment where Cristian Roldan shot, and I think he could've played Corey Baird behind the line, and that's a move that we've been working on so much,” said the coach, who chatted with bench players as the game unfolded. It was a teachable moment for the new boss, one he’s sure to have taken advantage of not only in real time but also in postgame video analysis. Given the code of secrecy that is all too often the default in this business, it was also interesting and encouraging to see Berhalter explain the situation to the media so transparently. There may be plenty more occasions like this in the months ahead as the USMNT build a new tactical and philosophical identity from the ground up. Berhalter has plenty of work on his plate, and educating his players as well as the general US soccer public appears to be a priority. It bodes well that his squad was able to grasp and execute some fairly advanced concepts against Panama. The USMNT’s formational shifts and patterns of play drew some comparisons to Manchester City. One of the toughest tasks for any teacher is imparting hefty amounts of data to students in a way that feels simple and manageable for them to process. So far, Berhalter seems to be passing that test. Berhalter embraces progressive tactical concepts and implement them via a meticulous approach to his craft. It’s no simple task to process complex tactical assignments without disrupting the focus and “flow” needed to perform at a high level in the run of play. Lewis was one of many who seemed to find that balance against Panama, notching an assist as an impact substitute in his senior international debut via a surging one-on-one dribble and cross to Christian Ramirez for the final goal of the night. 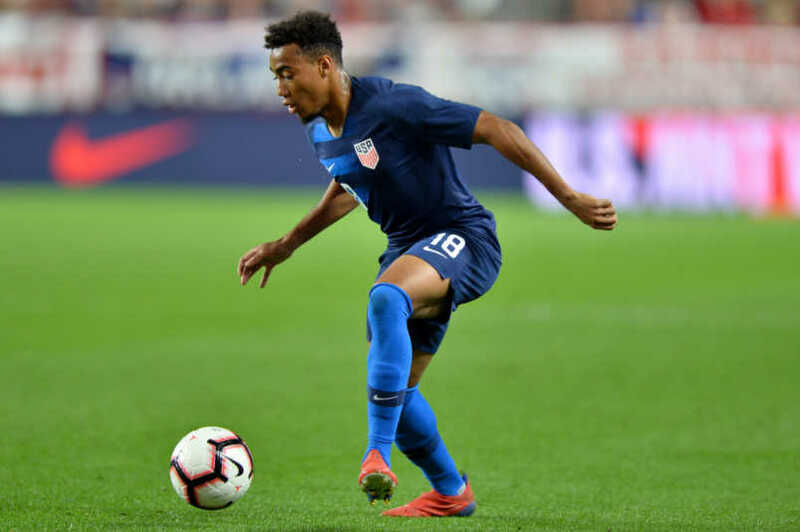 “He likes a very attack-minded system where his wingers can get isolated, go one-v-one, so I definitely like that,” said Lewis of Berhalter. “He likes us to go out there and express ourselves on the wing – well, at all positions he wants us to be free-flowing and attack-minded and try things. So he’s definitely a very expressive coach. Berhalter is hardly the first USMNT coach with a mission to instruct as well as lead. Hiring Jurgen Klinsmann in 2011 was in part because of his track record of implementing new ideas in his time in charge of the German national team. At some point in his five-plus years in charge, the charismatic Klinsmann drifted away from that “communicator in chief” role, and results suffered. Maybe the voice of a long-serving educator becomes too stale. Or there’s just too much else to do in the day-to-day crucible of the job. No matter how enterprising and ambitious a national-team coach’s style of play may be, the abilities and attributes of the player pool inevitably affect the collective capacity to execute it. A shortage of tactical depth has been a knock on the USMNT in the past. It’s a perception the new staff will be eager to change. With a meaty curriculum offering hard work, but also empowering concepts and a clear sense of purpose, Berhalter’s challenge is to show his players, and the wider world, what they are capable of. The early returns are positive.